Struggling Scunthorpe will hope to have defender Charlie Goode available as they look to bounce back to form against Peterborough. Goode has missed the last two games with a knee injury but is close to returning as the Iron look to end a run of five league games without a win. New Zealand international striker Clayton Lewis is closing in on a first appearance for the club having attained full fitness following his move last month. But boss Graham Alexander is still without longer-term absentees Jonathan Margetts and Luke Williams. Peterborough defender Michael Doughty has missed the last two matches and could be absent again. Doughty missed last Saturday's home loss to Gillingham following a back spasm and he was ruled out of Tuesday's 1-1 draw with Southend. Striker Junior Morias is a long-term absentee with a thigh injury. 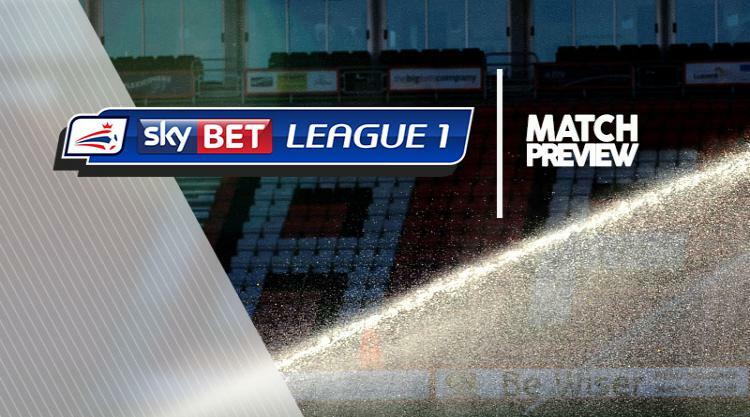 Jack Marriott will be hoping to continue his hot streak after four goals in his last five Sky Bet League One games.